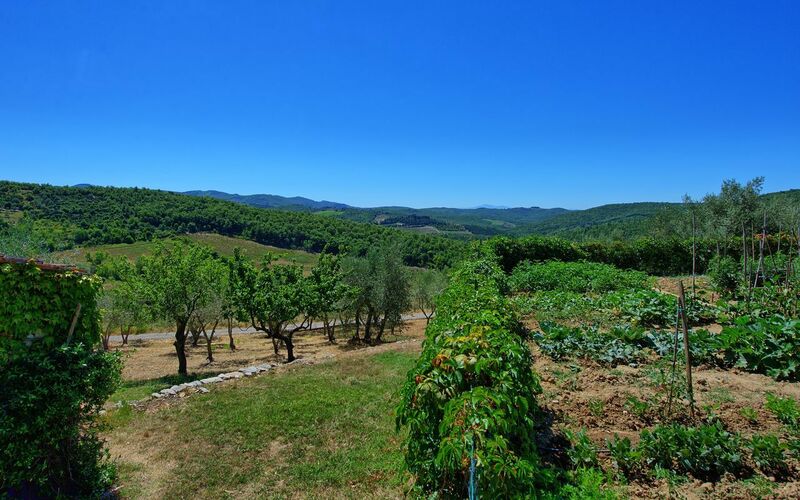 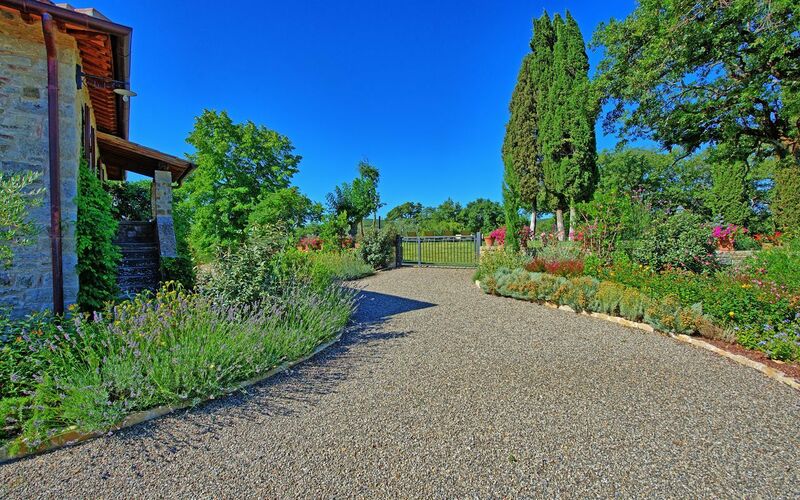 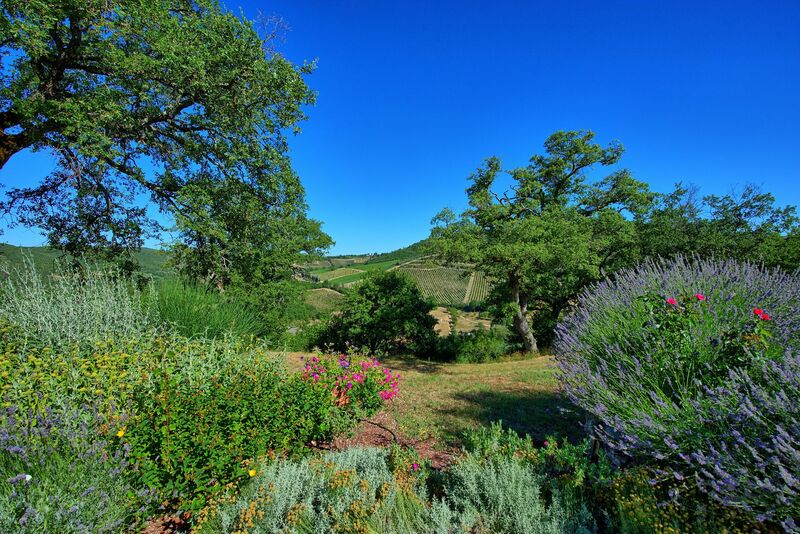 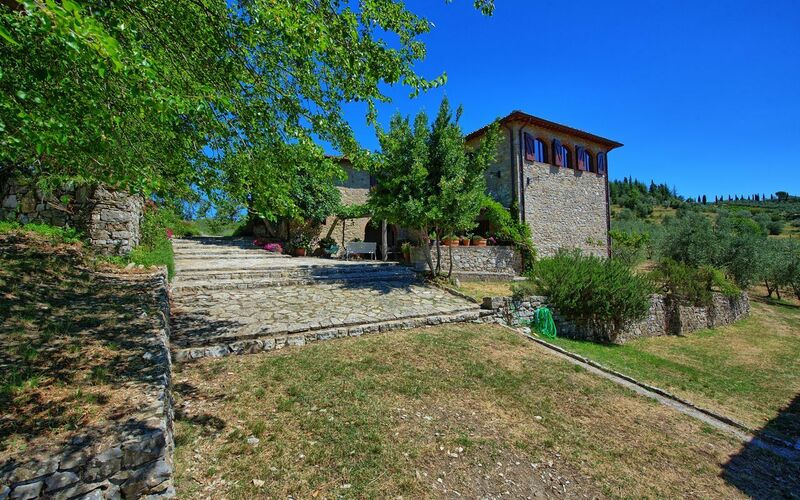 An idyllic retreat situated only 1 minute walk from the historical hamlet of Vertine and 2.5 Km from Gaiole in Chianti - location and views don't get much better than this! 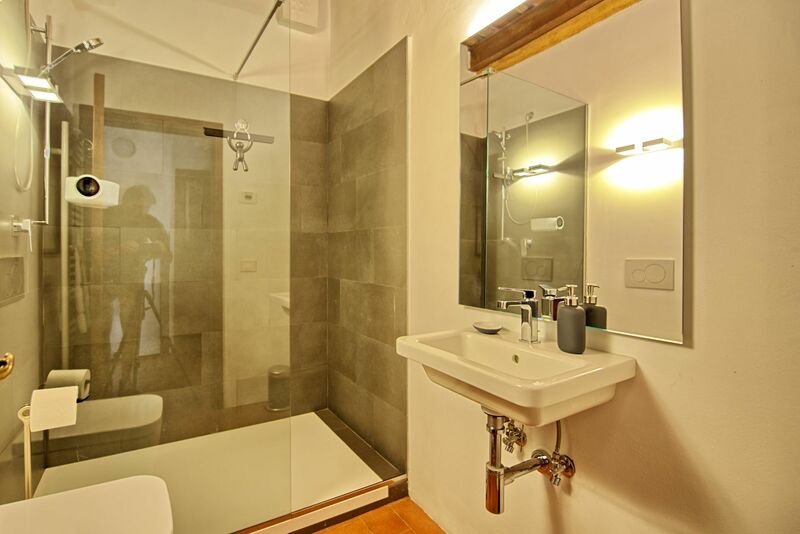 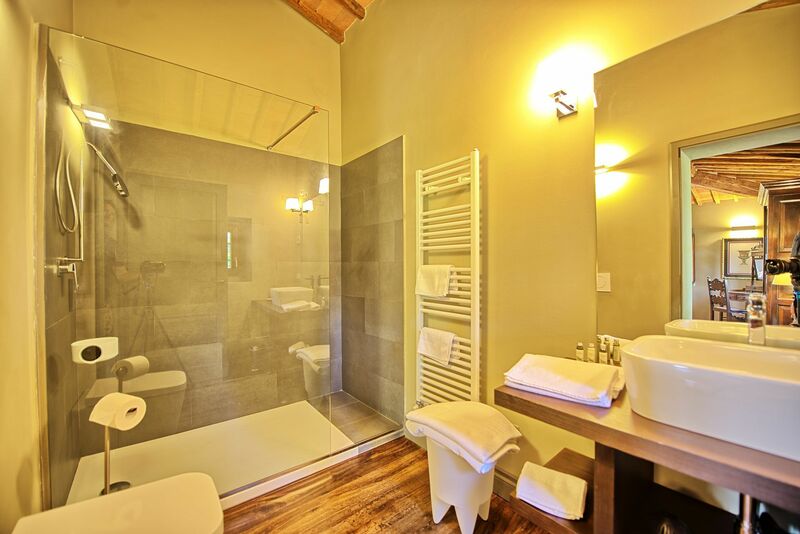 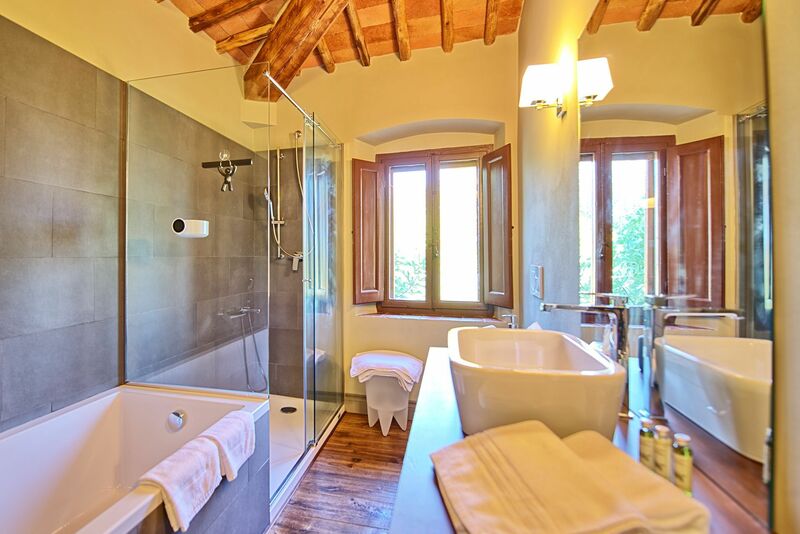 Tasteful interiors furnished with a mixture of classic and contemporary - Wooden beamed ceilings and terracotta tiled floors blend with high spec bathrooms suites and a modern kitchen. 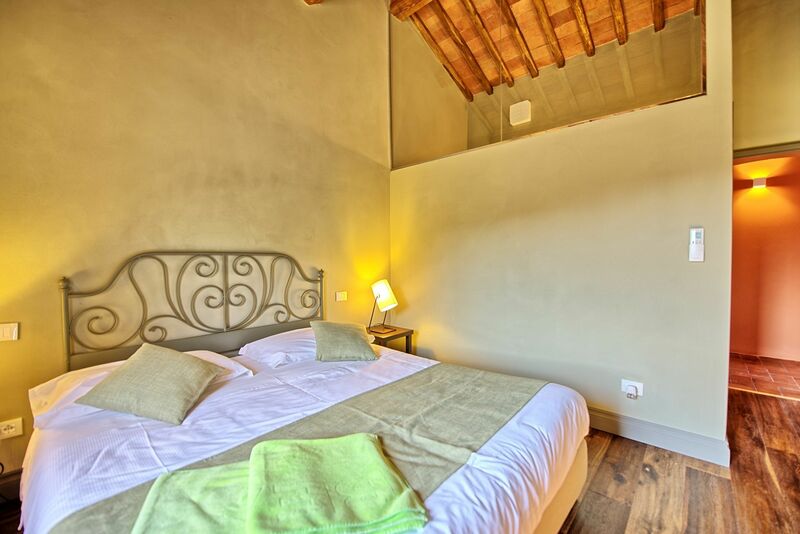 The property benefits from air-con, wi-fi, & mosquito nets. 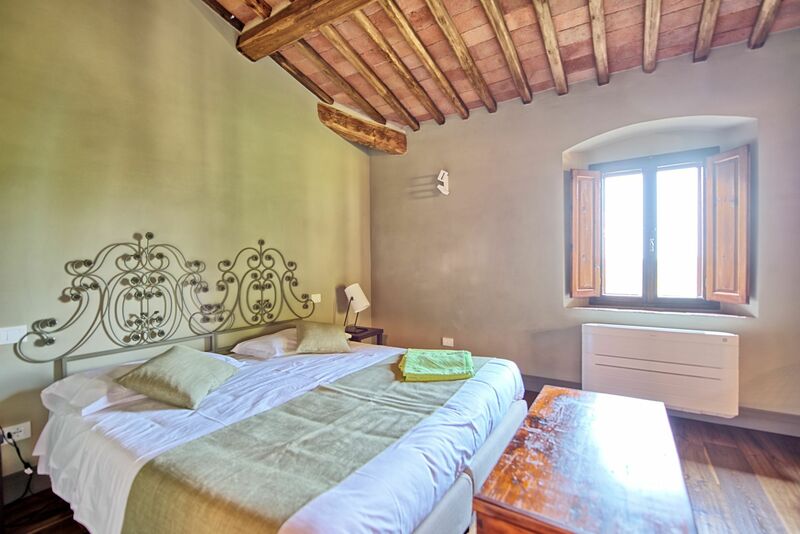 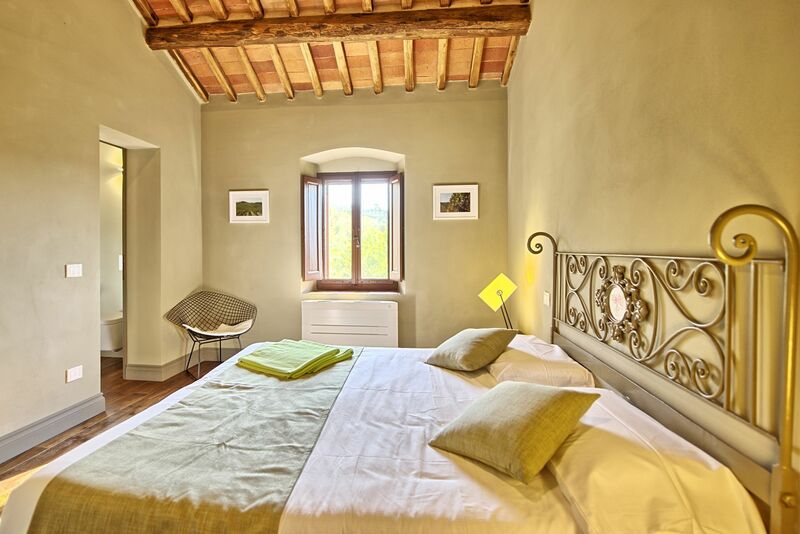 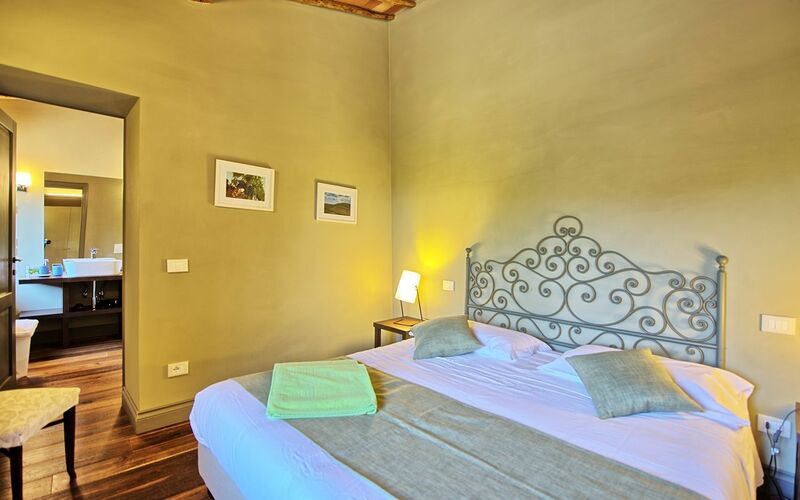 The perfect choice for an unforgettable stay in the heart of Chianti- Book early for 2019! 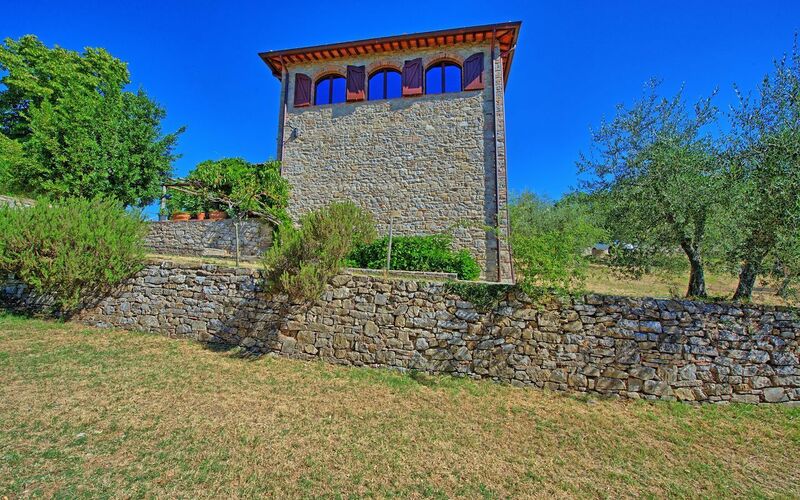 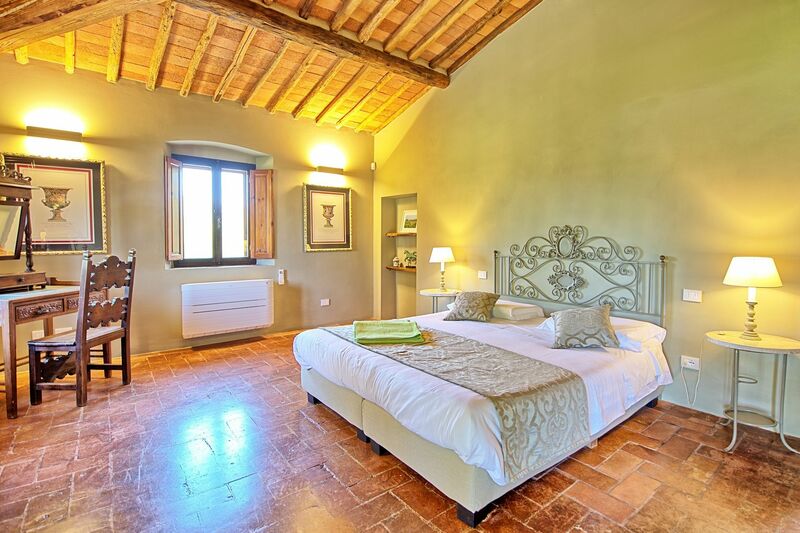 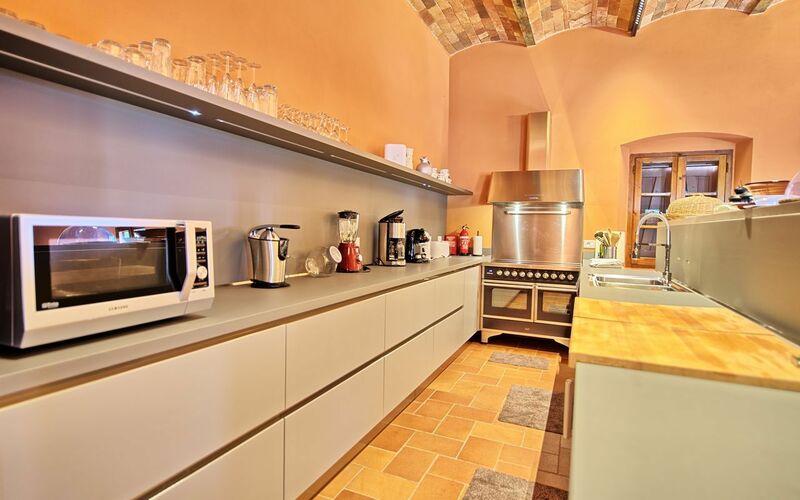 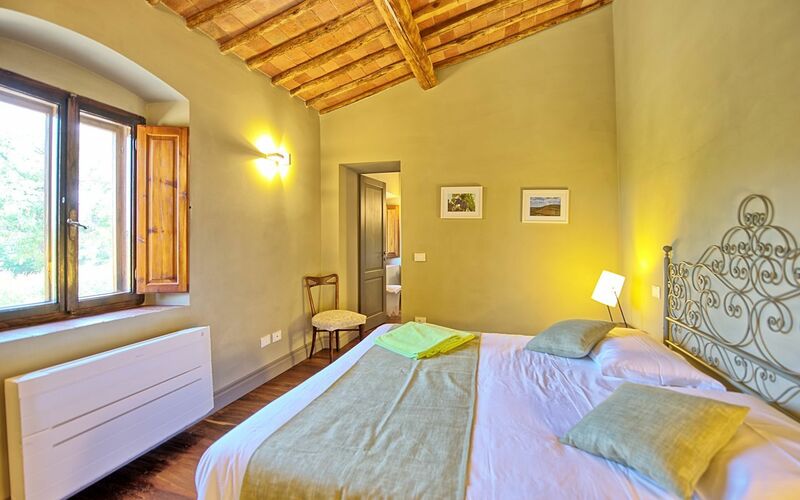 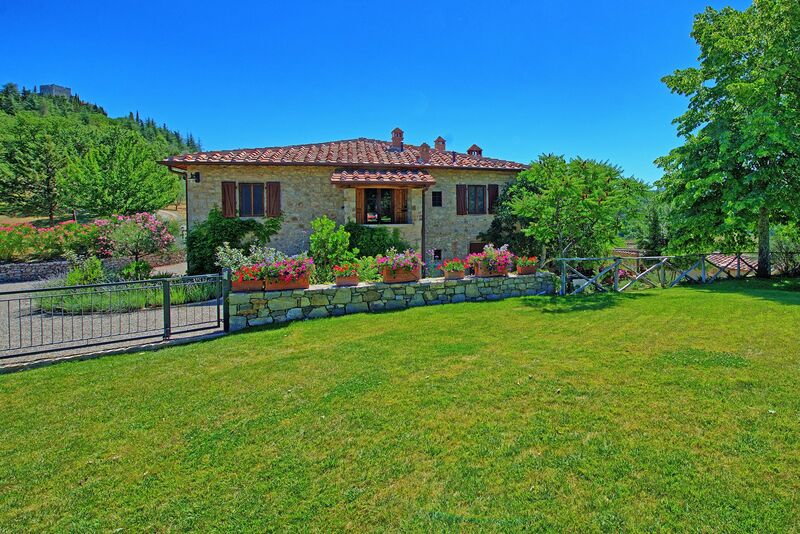 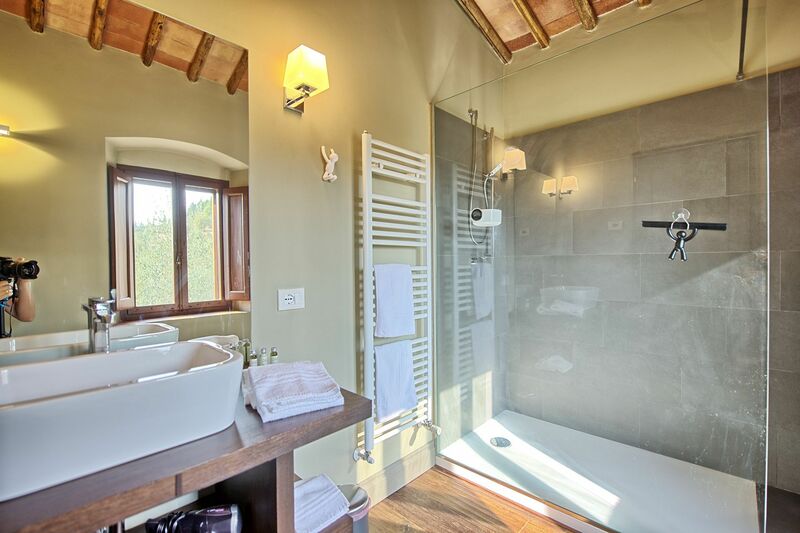 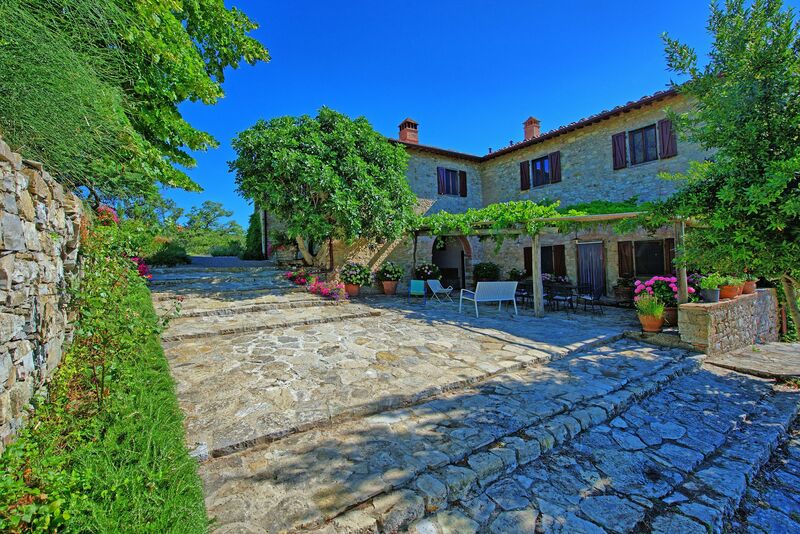 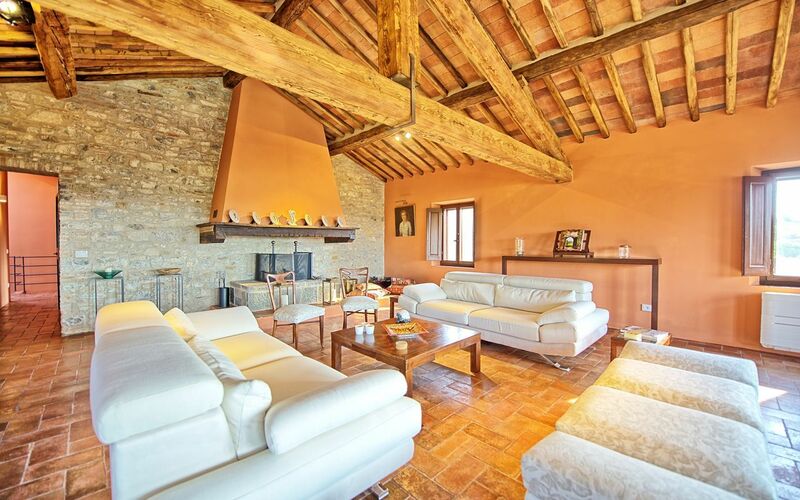 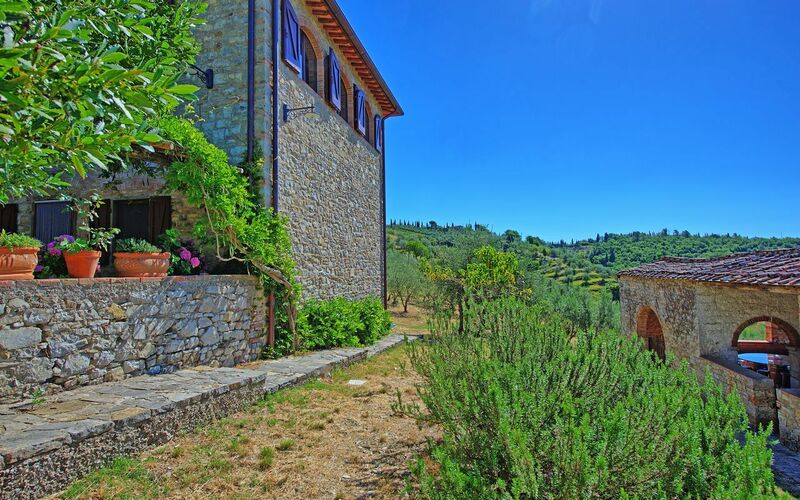 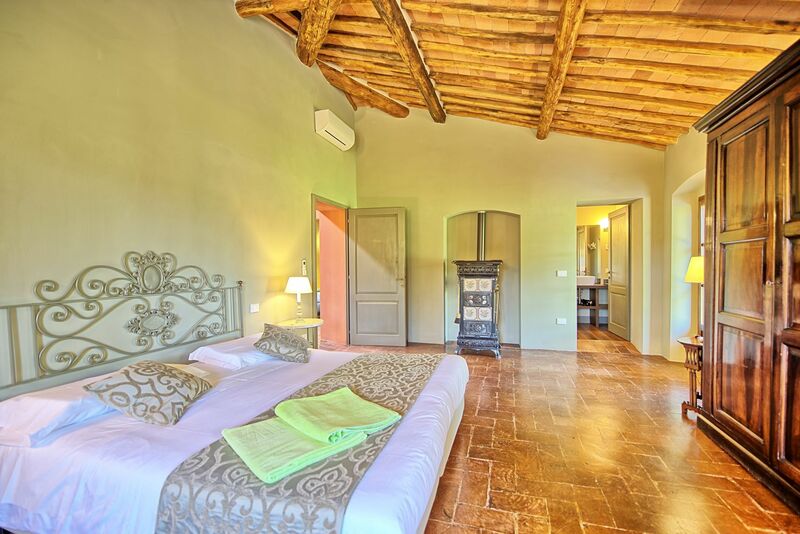 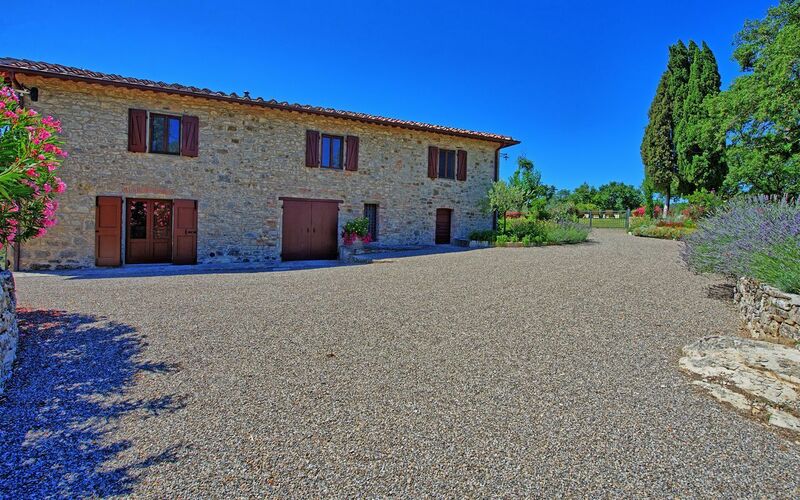 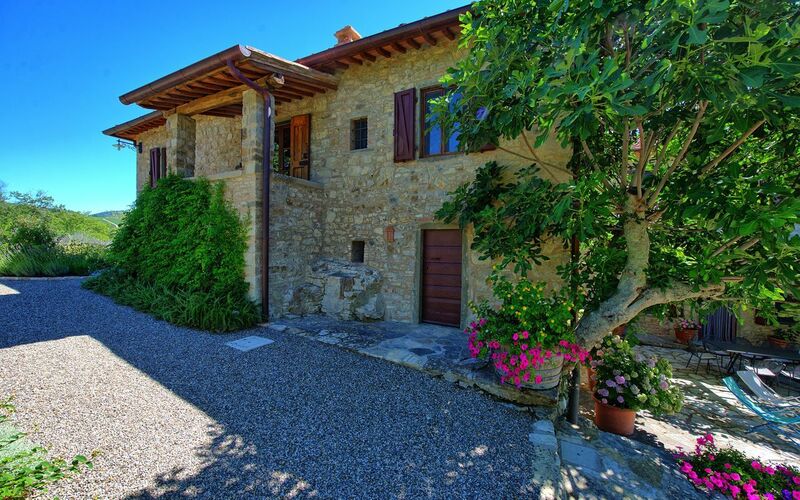 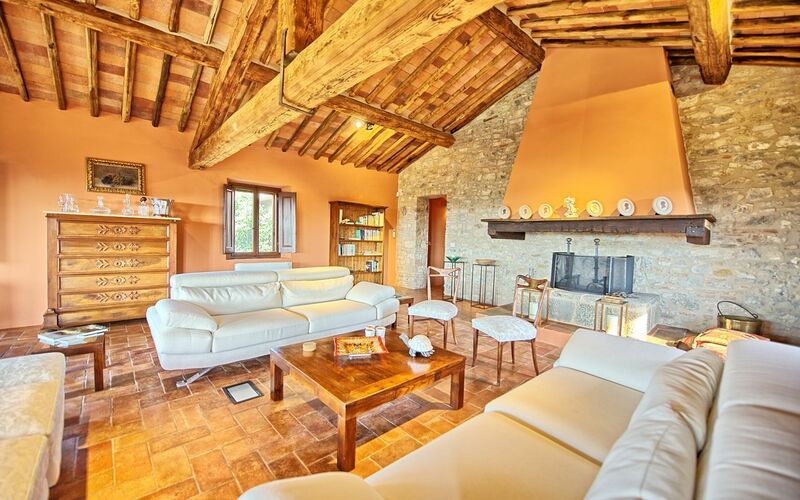 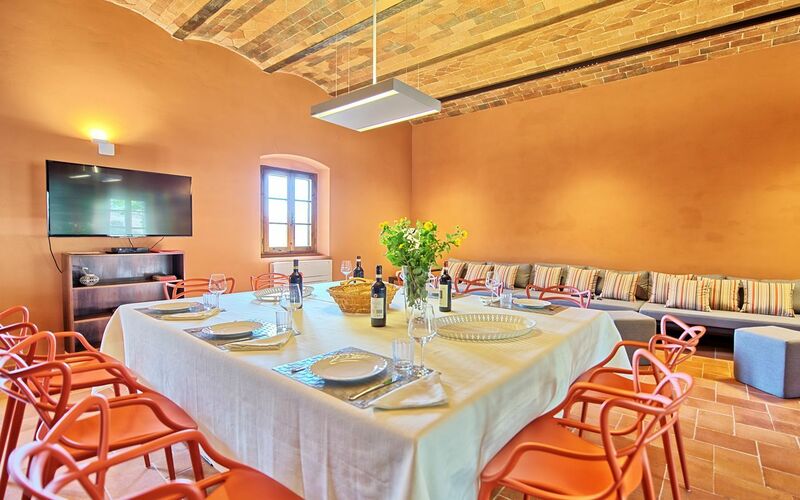 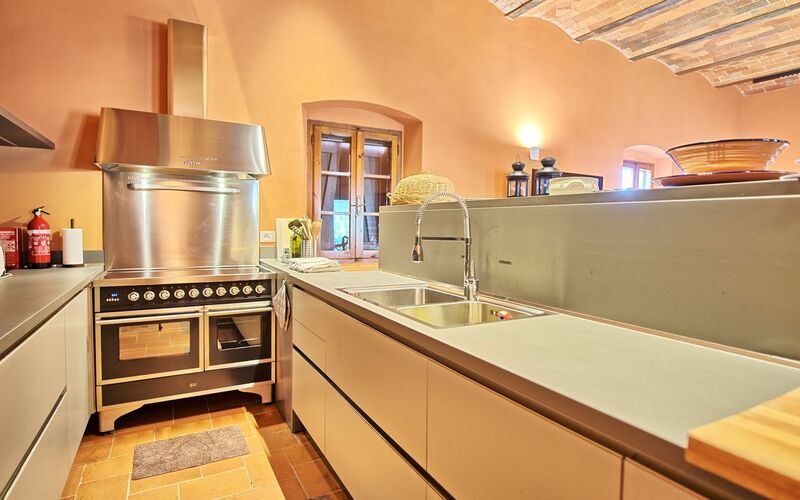 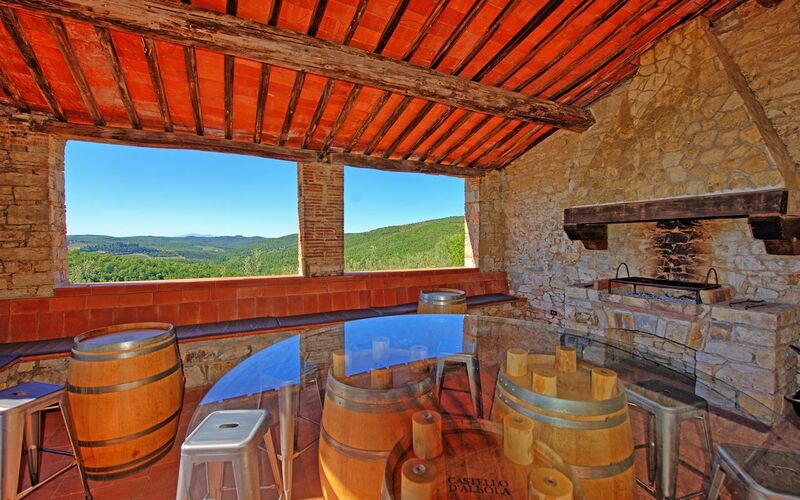 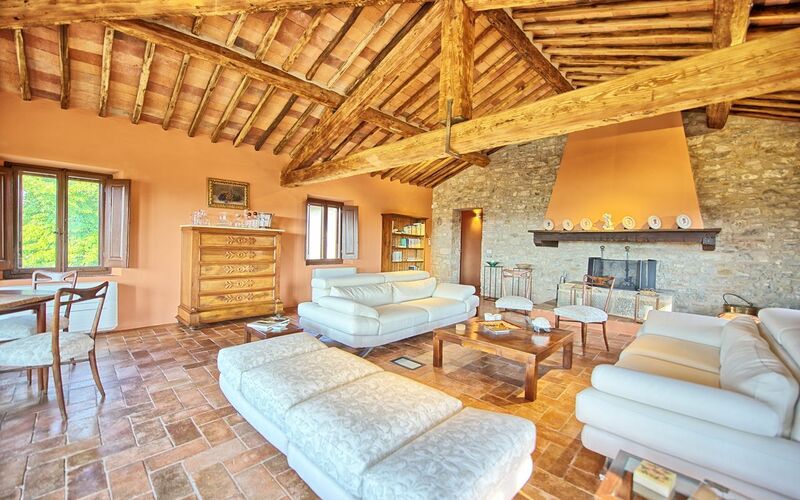 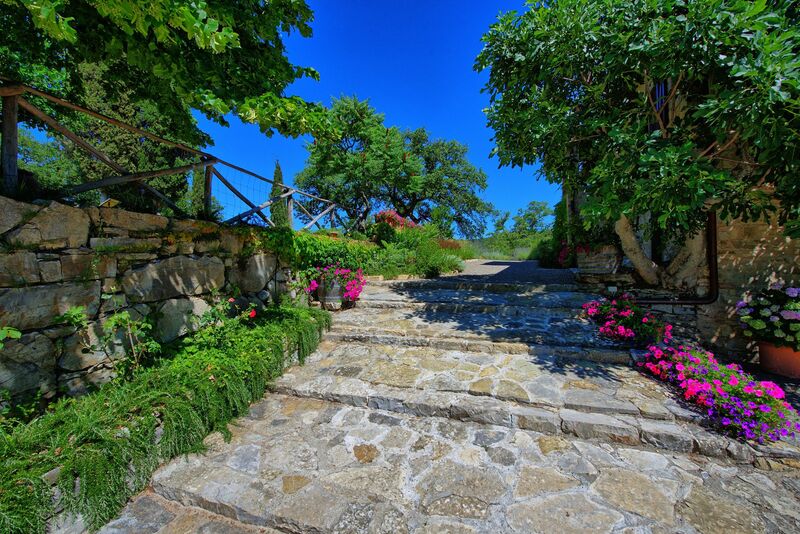 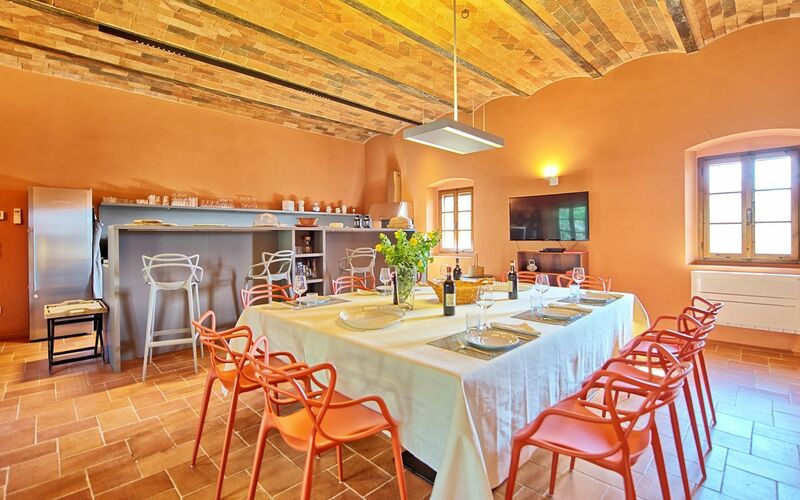 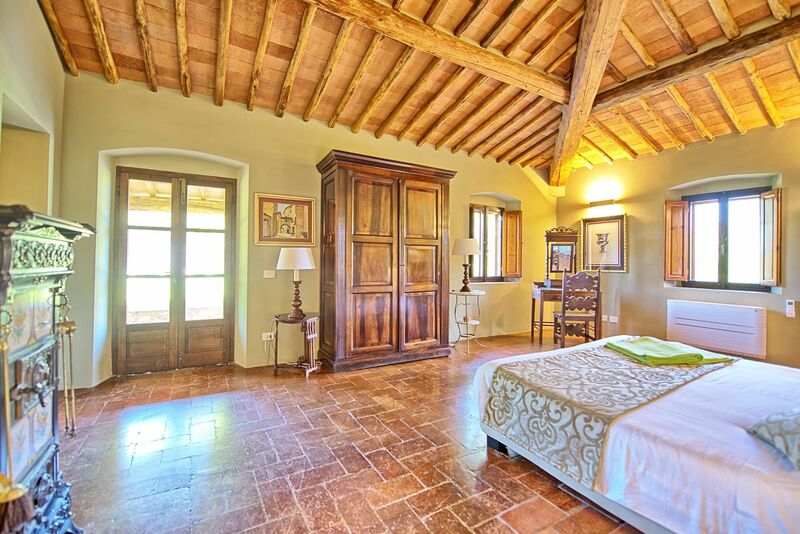 This amazing villa for rent in Tuscany has 5 bedrooms and can easily accommodate up to 10 guests. 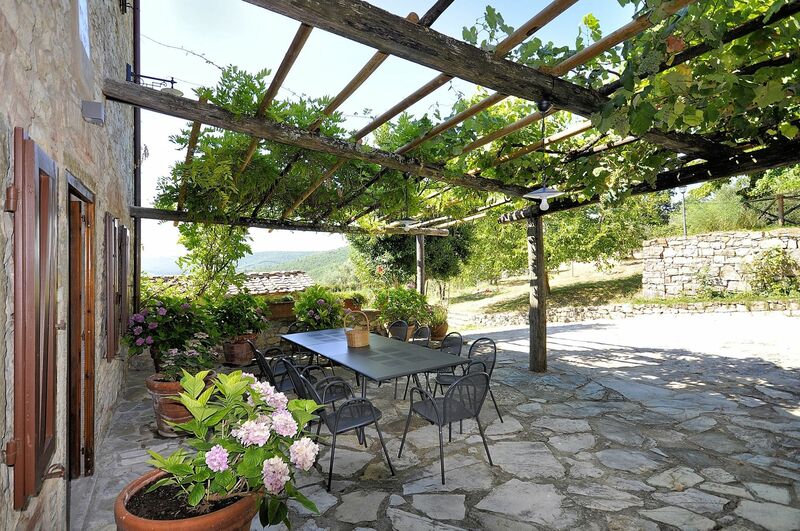 The property is also equipped with a spacious shaded terrace furnished with table, chairs, pizza oven and barbecue, perfect for enjoying al-fresco meals while enjoying the views. 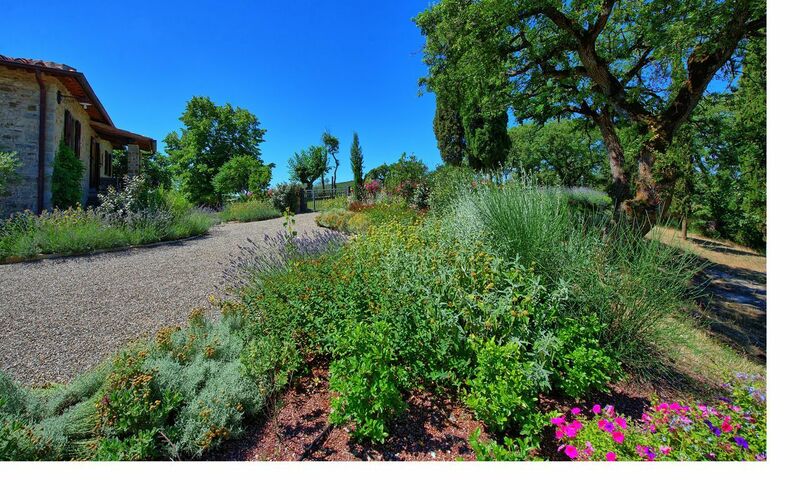 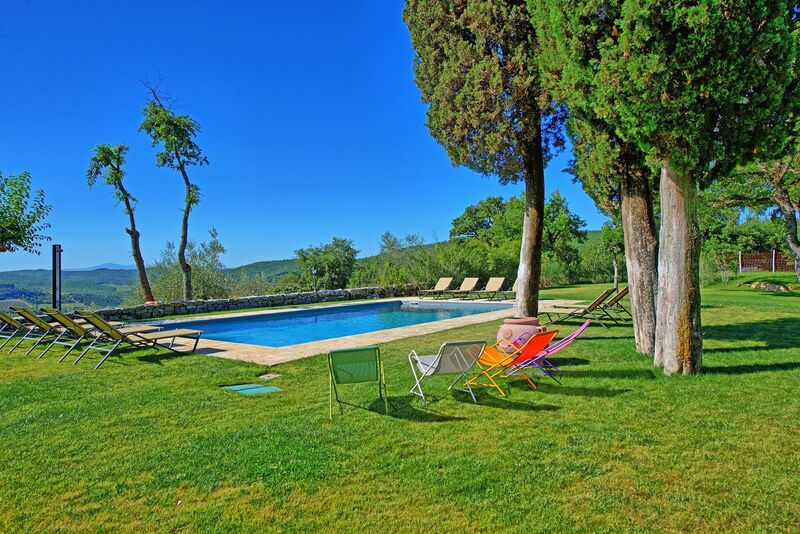 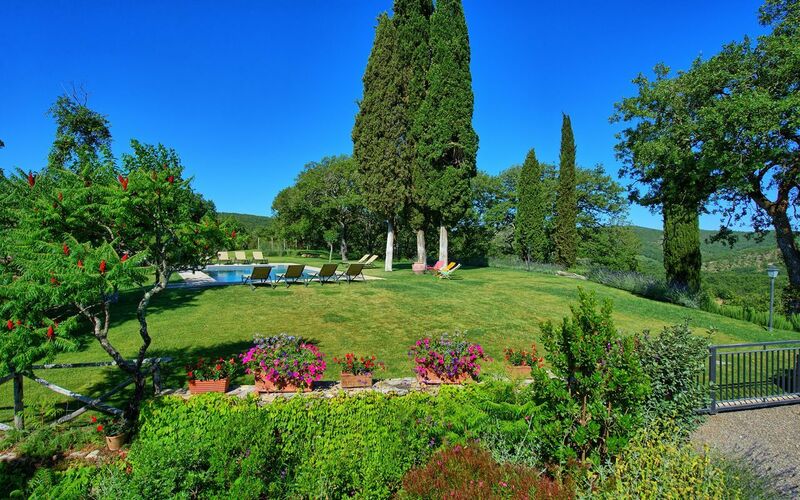 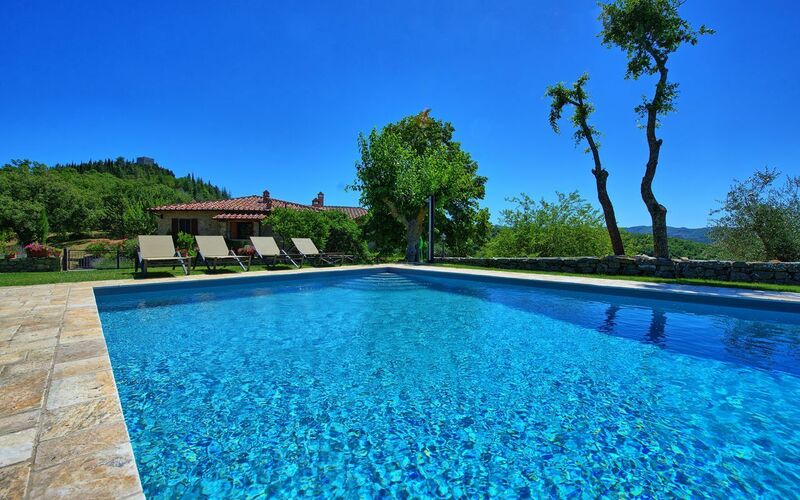 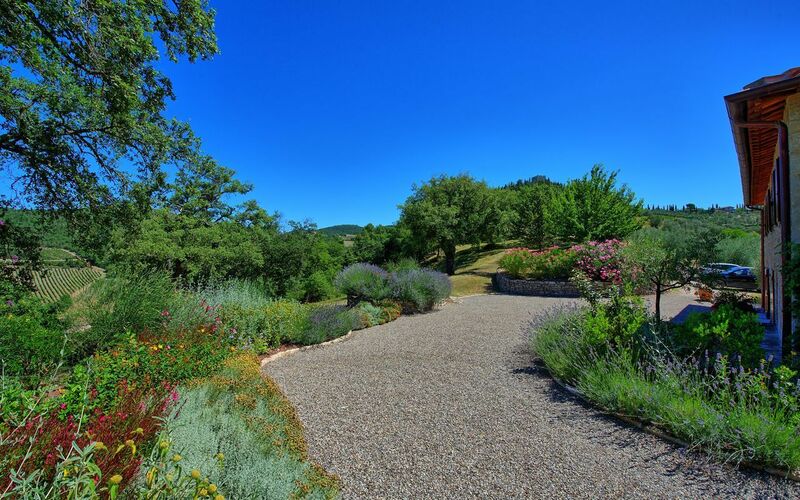 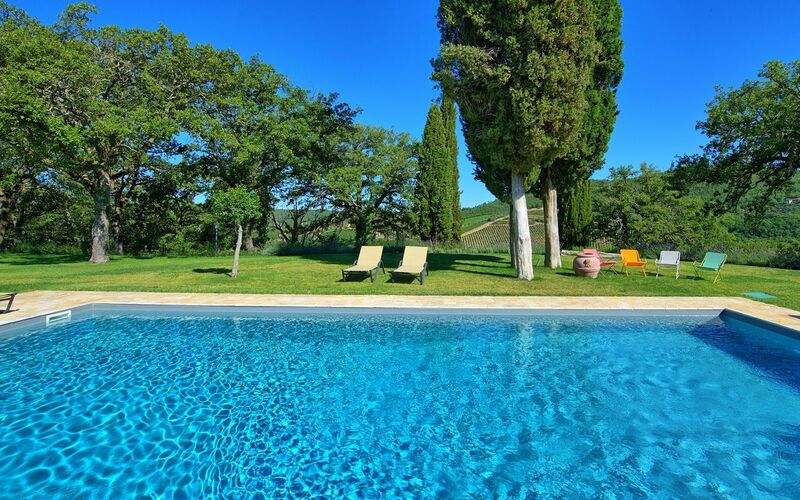 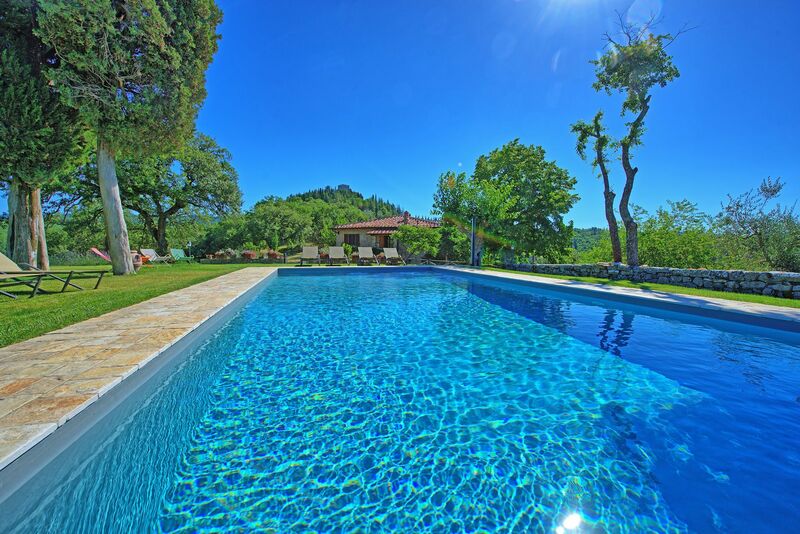 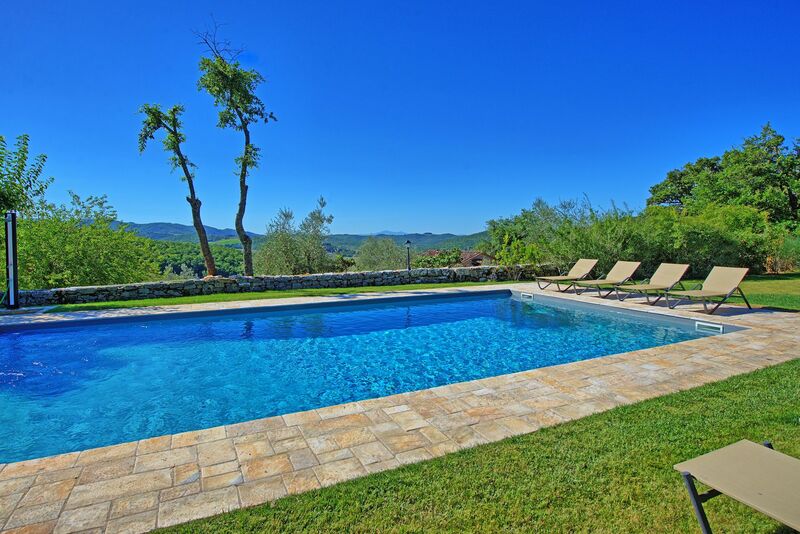 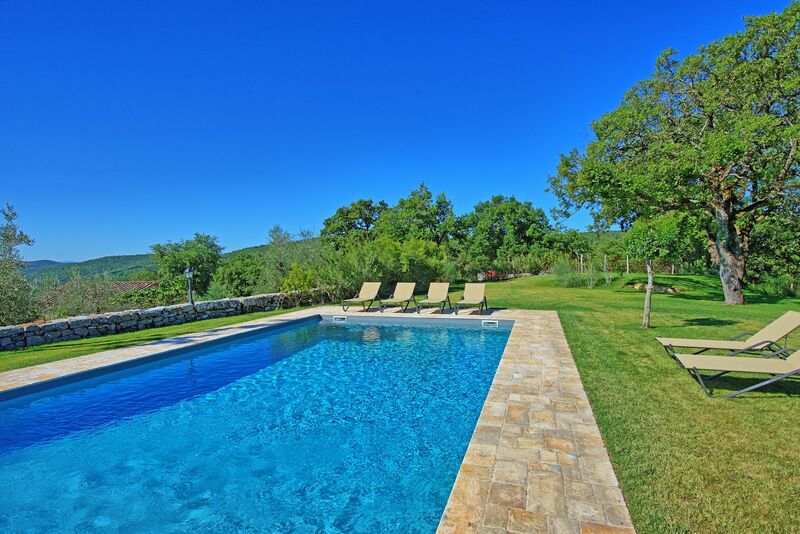 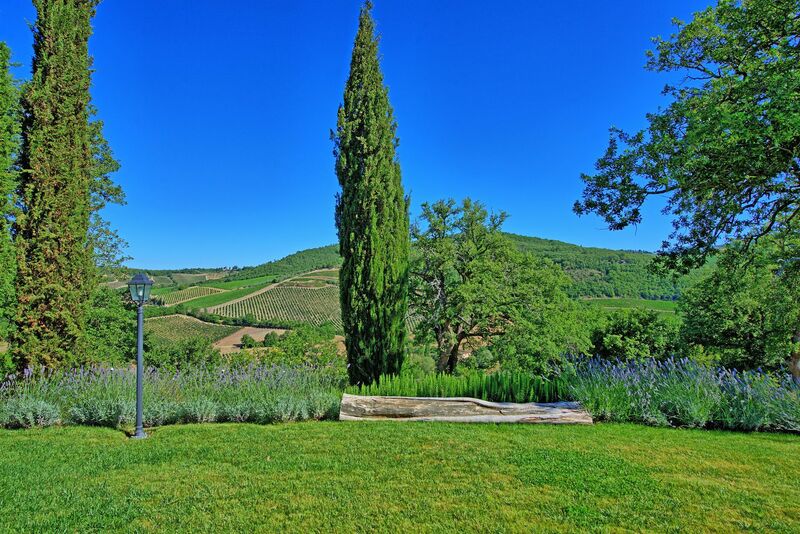 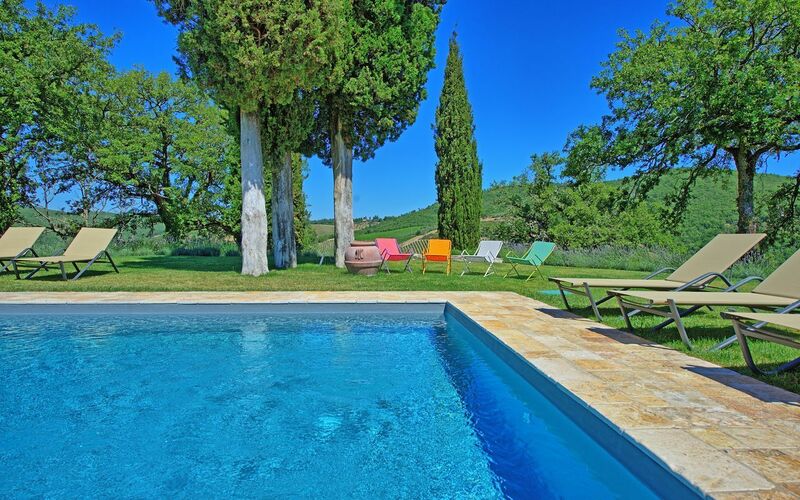 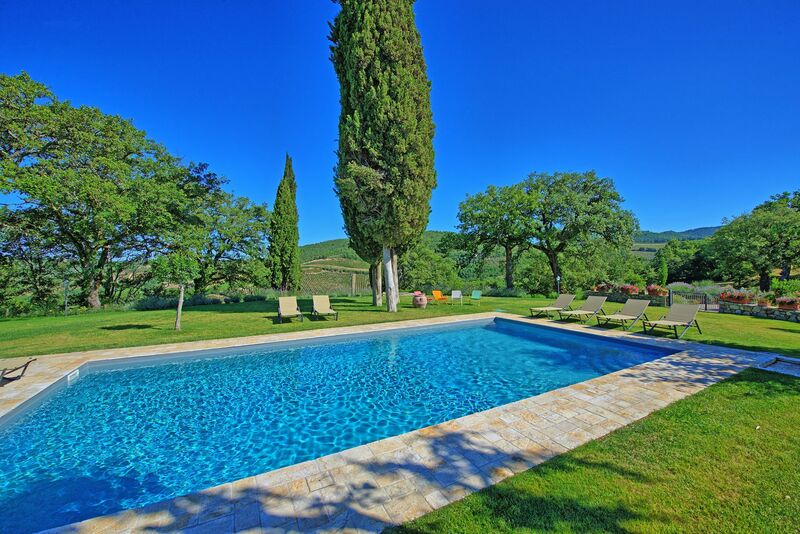 The private swimming pool is fenced and surrounded by a perfectly maintained garden with lawn and cypress trees, offering amazing panoramic views over the rolling Chianti hills. 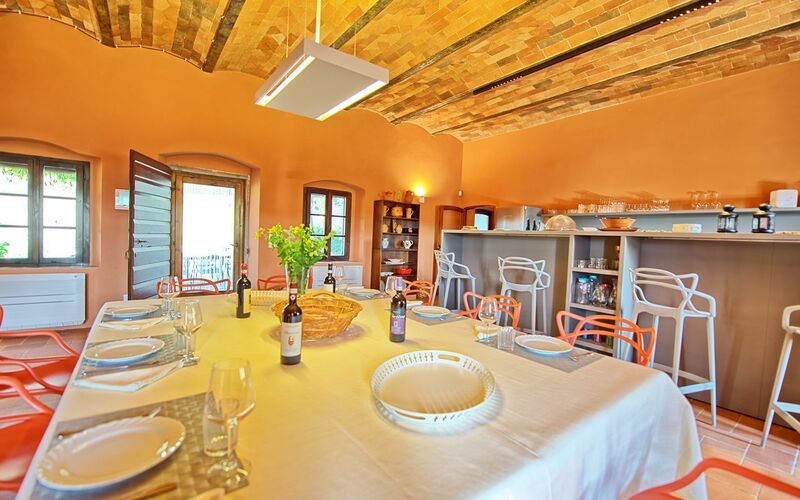 Ground Floor: Large open plan living room with kitchen and dining area, equipped with sofas, big dining table that can accommodate 10+ people, LCD satellite TV and fully equipped kitchen with electric stove (6 cooking rings, two electric ovens, microwave, espresso machine, american coffee maker, toaster, kettle, dishwasher, fridge and freezer); behind the kitchen there is also a separate dining room with a big wooden table. 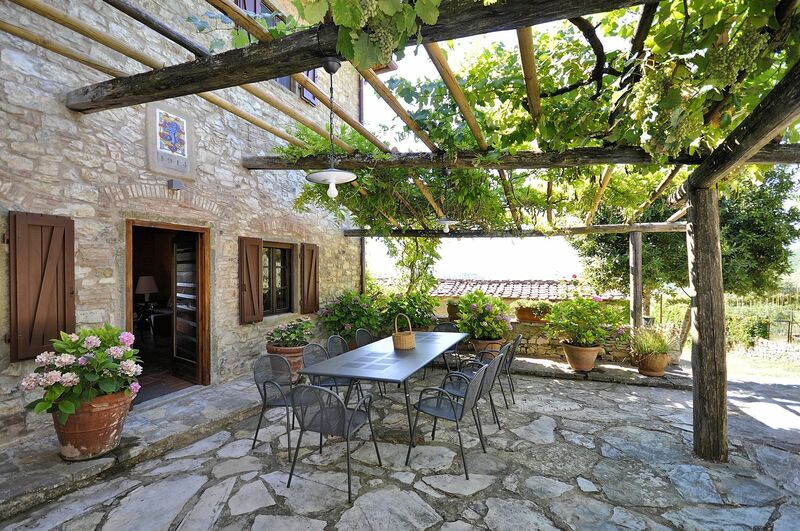 Patio doors open straight to the shaded outdoor dining area. 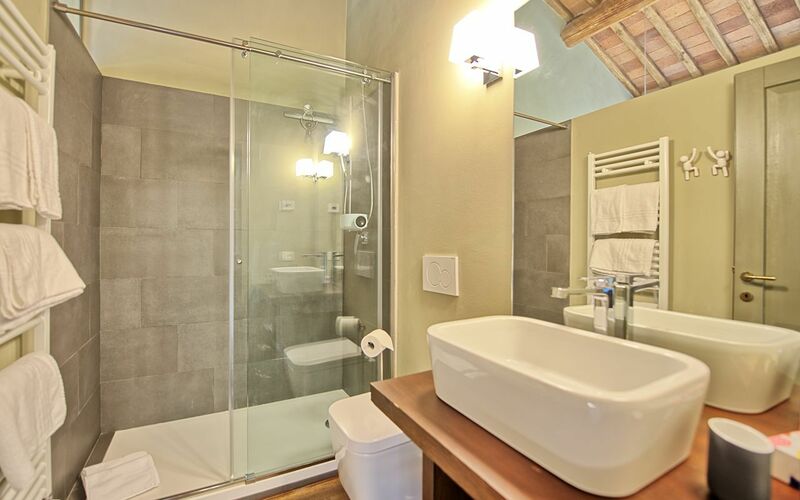 3 steps up: laundry room with washing machine, bathroom with shower. 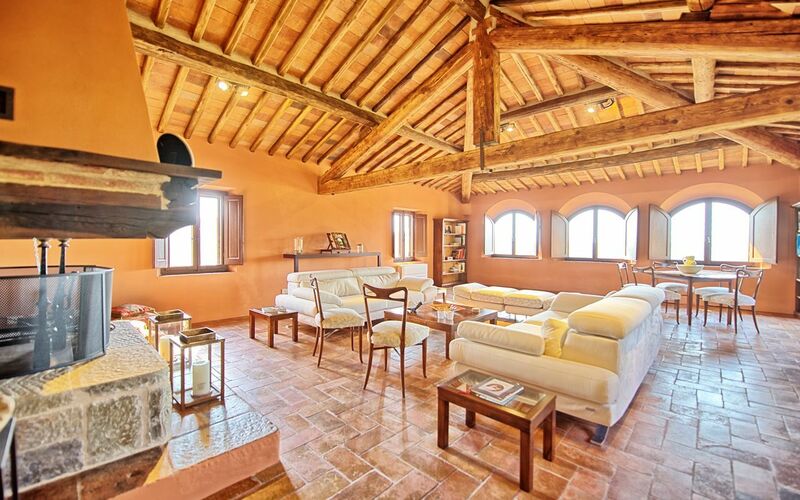 First Floor (17 steps above): Large living area with windows offering amazing views over the Chinati Classico hills, equipped with fireplace, sofas, tea tables, and stereo hi-fi. 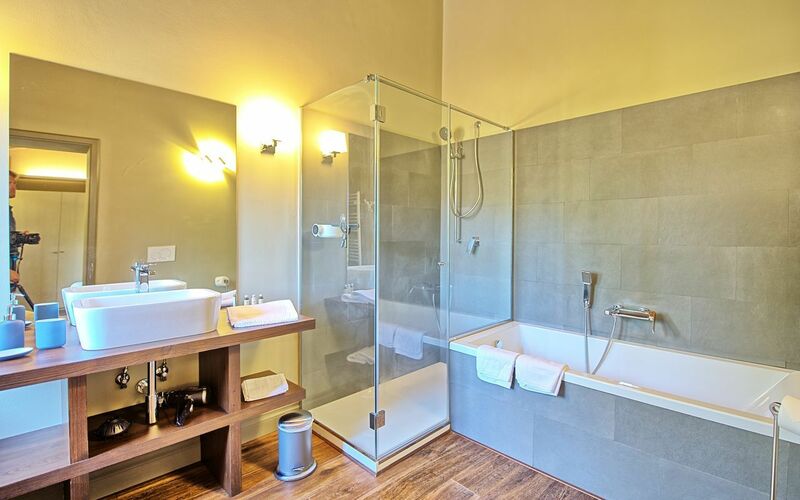 Double bedroom (the beds can be separated and turned into two twins if required), ensuite bathroom with bathtub; bedroom with double bed and ensuite bathroom with shower; bedroom with double bed and ensuite bathroom with bathtub, bedroom with double bed and ensuite bathroom with shower, bedroom with double bed and ensuite bathroom with shower as well patio doors leading to a little balcony and, via a few steps, to the swimming pool area below. 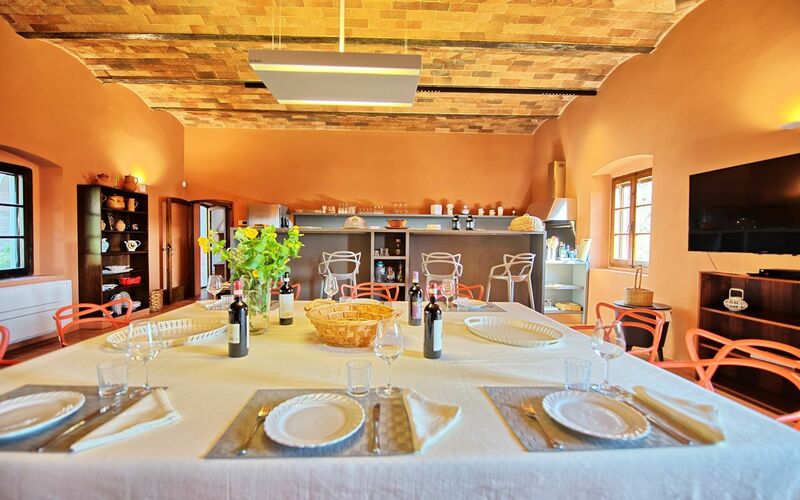 Gaiole in Chianti is the perfect starting point for wonderful excursions all over the region such as Florence, Siena, San Gimignano, Volterra, Arezzo, Lucca.